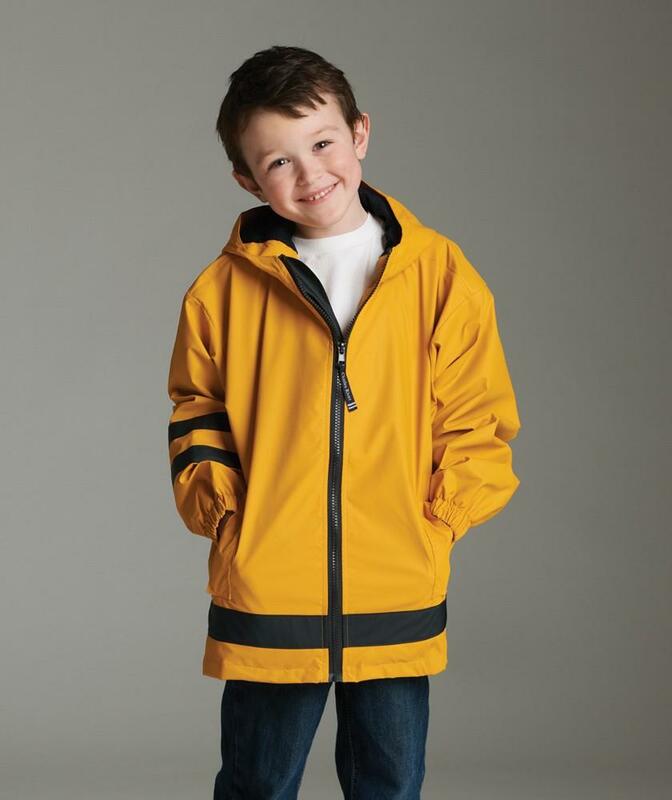 SKU: CR-7099 Categories: Youth Clothing, Outerwear, Rainwear, Pink, Yellow Brands: Charles River Apparel. 100% wind & waterproof New Englander Polyurethane bonded to a woven backing to provide additional fabric strength. Lined with mesh for air-flow circulation and taffeta nylon in sleeves for easy on/off. Elastic gathering at the hood. Heat-sealed seams throughout to seal wind & rain out. Single stripe accent on hem & dual stripe accent on right arm (stripe is reflective on pink color). Covered zippered side pockets & elasticized cuffs. Toddler (style 6099), Youth (style 8099), Men’s (style 9199), Women’s (style 5099) styles also offered.